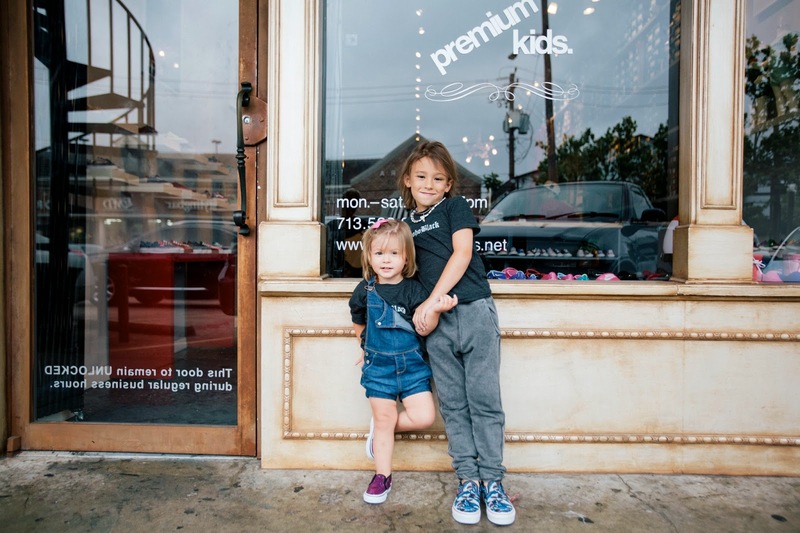 When the bohoBabies go shoe shopping, they go to Premium Goods Kids. 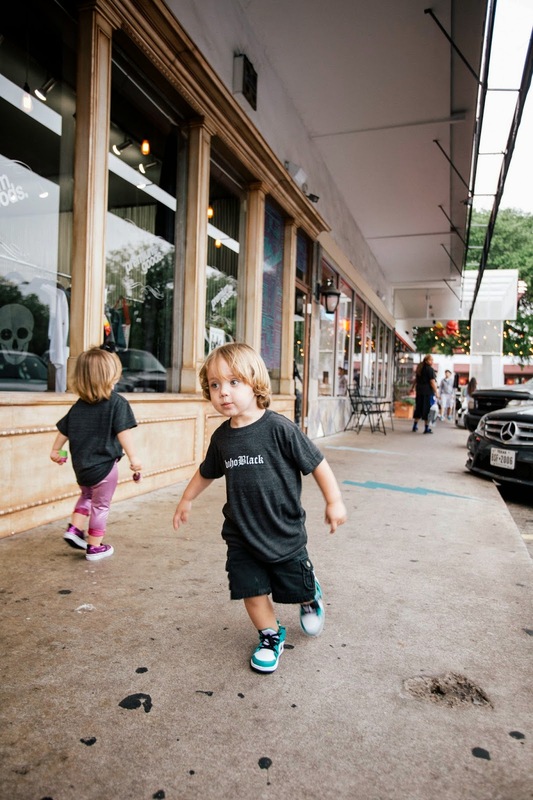 We took a group trip last week to take some pics and grab some kicks to go with their new bohoBlack t-shirts. As always it was fun...and hectic! Dax was quarantined because we thought he had pink eye, turns out it was just allergies. Sorry Dax. Driscoe was being a complete Diva, falling to the ground in a tantrum because he didn't want to share his cookies with Gjelina, and after 2 minutes he was over being a model. Fortunately there were no Naomi Campbell style altercations, phone throwing, etc. Mo on the other hand loved his opportunity to show off his new walking skills for the camera. He was all smiles and a complete natural, clearly taking after his teen model daddy. Gjelina, also a natural, had a costume change and refused to remove those pink sparkly Vans from her feet; needless to say she got to take them home. 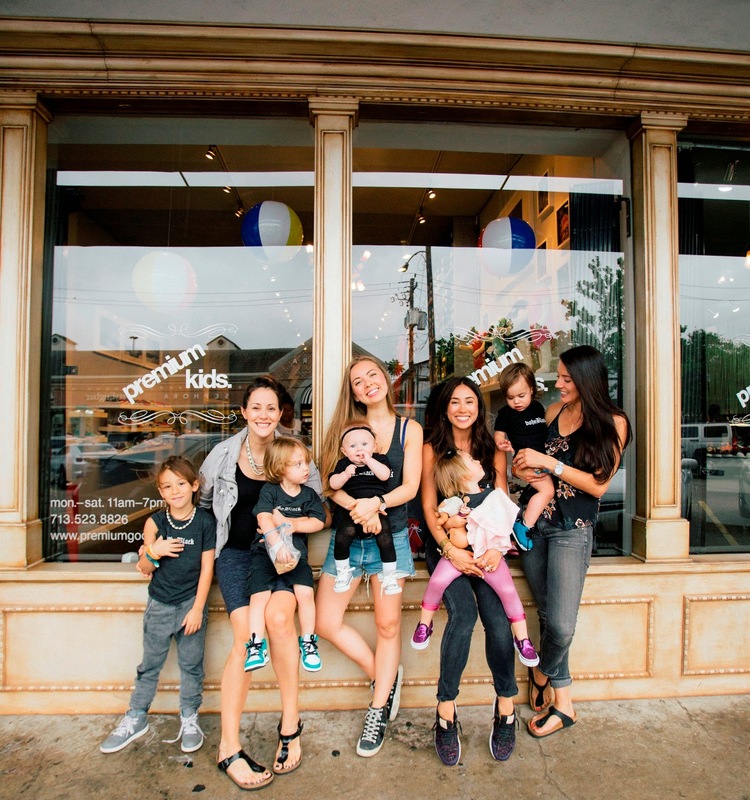 Caymus was sweet and helpful, the perfect role model for these bohoBabies who love him so much. He immediately scooped up Camilla from bohoKady, making us all a bit nervous as he was completely comfortable carrying her around the store like his little doll, all the while Gjelina was DYING to hold her real life baby. And the real life baby Camilla was sweet as candy...I don't think I've ever heard her cry? She is perfect. 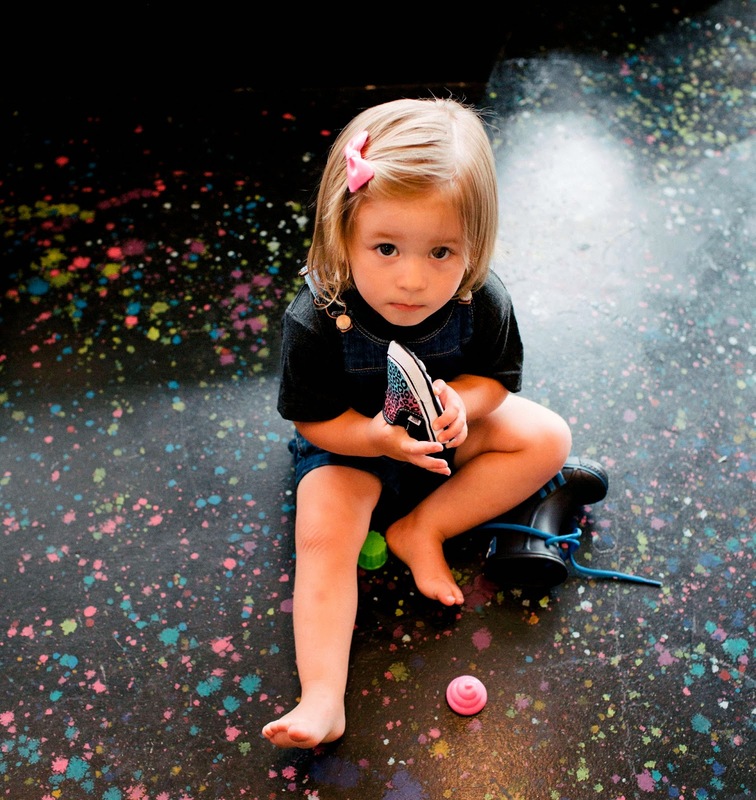 Thankfully there were toys, games, and the nicest people helping out and did we mention shoes? SO many fun shoes! 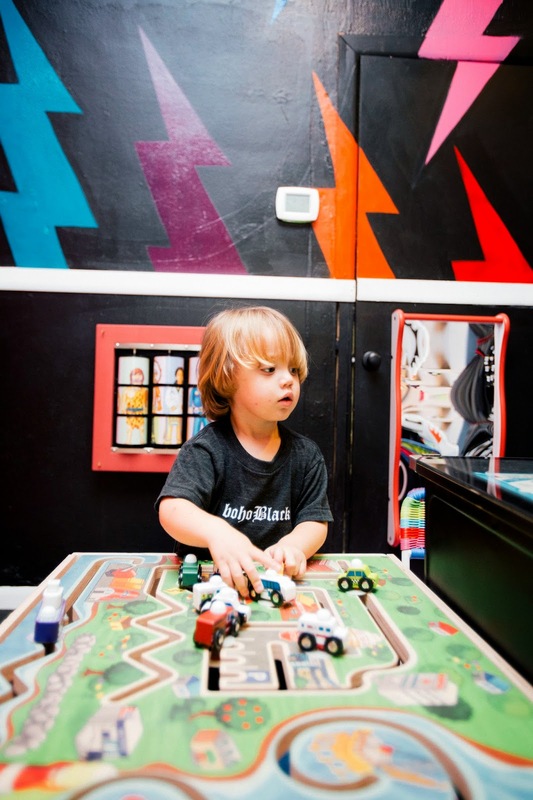 There is no other place in Houston that has the variety and selection as this cute little Rice Village boutique. From Jordan's & kid’s Air Max in the brightest colors to checkered Vans in lime green or sparkly pink. Plus the best kid-friendly Velcro Pumas and Adidas in a mix of different colors and fabrics. We always end up standing at the counter with three pairs of shoes trying to narrow it down to just one. It's my sweet hubby Jason's favorite place to go grab something fun for our kids and nephew Driscoe, and next door at Premium Goods (the adult shoe store) is his go-to for buddies birthday presents. 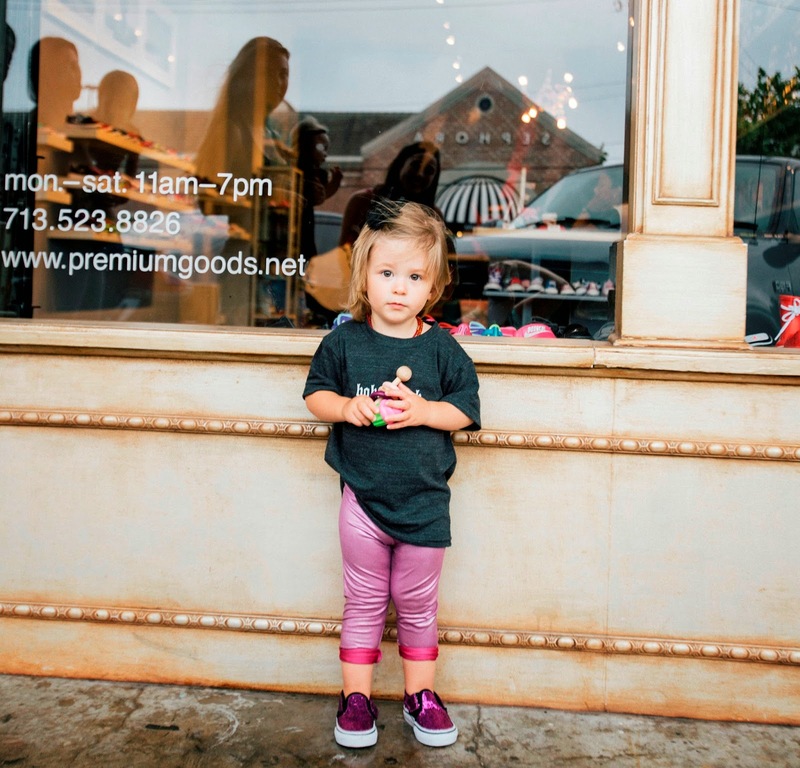 So if you are looking for a fun gift or some new kicks for your tot, stop by, we promise you won’t be disappointed.